Do I need it on my next car? Keyless entry allows the vehicle to be unlocked and opened without having to physically operate the traditional key or key fob. Drivers still carry a traditional key or key fob, but they don’t need to use this in order to unlock or enter the vehicle. Instead, sensors mounted within the vehicle detect when the key is within close proximity, at which point they allow the doors to be unlocked and opened. Each key is programmed with a specific code which only enables it to unlock the respective car. Some vehicles will unlock as soon as they detect an attempt to open the door while others require the user to press a small button on the handle. The same process occurs when exiting the vehicle. Some lock automatically as the key moves out of range while others require the user to press a button on the door handle. 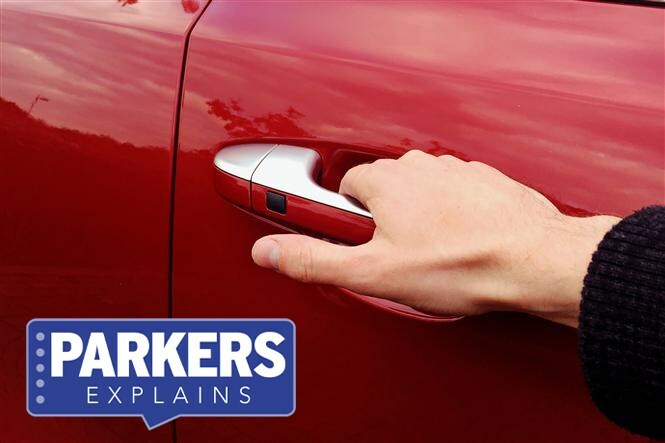 Keyless entry is often – but not always – accompanied by keyless ignition, whereby the vehicle starts at the push of a button, provided the key is located within the cabin. It can be an incredibly useful and time-saving piece of kit, especially if the key is frequently buried in your handbag or rucksack. When accompanied with keyless ignition, drivers will – in theory – never have to use the key in order to drive their vehicle. Initially the preserve of more expensive vehicles, the technology can now be found on the Kia Sportage, Volkswagen Golf and Nissan Qashqai and many others.